Ricky and Tanya's charming wedding in his hometown of Pune included plush venues, stunning views of green hills and lovely decor that had a wow factor. Hosting one's wedding in one's hometown has a special feel to it. So, Tanya and Ricky decided to host their nuptials in the latter’s native place - Pune. 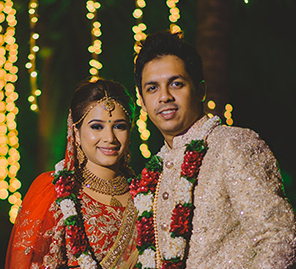 The couple booked WeddingSutra Favourite - Weddings by Ekta Saigal Lulla to plan the elaborate affair and hired another WeddingSutra Favourite - Dipak Studios to capture their most candid moments. 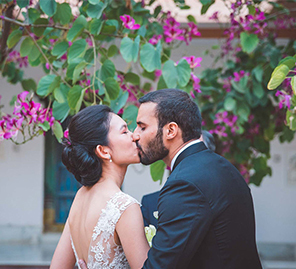 Bride Tanya shares with us the highlights of their big day. "Ricky and I met in an arranged marriage setup through a family friend. Our first meeting lasted for four hours, and we hardly realized how time flew. I think we got along very well because we both have very similar natures. He and I have an innate ability to crack the silliest jokes. We also believe in putting family above everything. Also both of us are shopaholics! We connected at a deeper level and decided to keep in touch even after he flew back to Pune from New Delhi. When I went to meet him in Pune, he introduced me to his friends, and we had a great time together. All of this continued for a few months, and one day it dawned upon us that both of us had fallen in love. Next, we broke the news to our parents, and before we knew it, we were getting married!" "Pune is Ricky’s hometown and the weather there is beautiful. So for us, there couldn’t have been a better city to host our wedding in. Since we tied the knot during the monsoons, we preferred having our functions indoors. Our engagement and reception took place in the Grand Ballroom of the JW Marriott Hotel Pune. Its high ceilings and stunning interiors made for a luxurious venue for our nuptials. 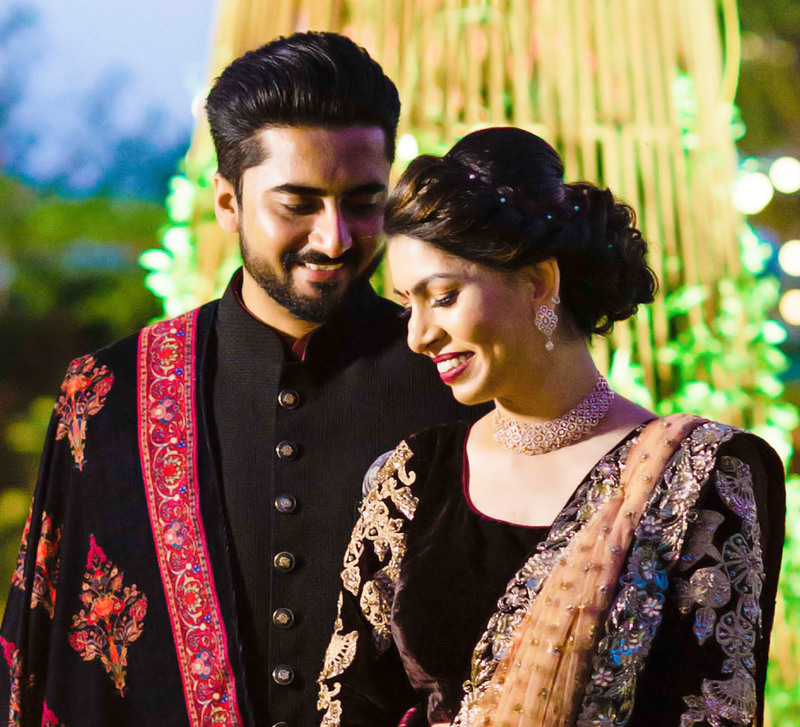 The mehndi, which was my favorite function, took place at the Oxford Golf Resort Adventure Park which is located on top of a hill and offers stunning views. Our wedding ceremony took place at a gurudwara." 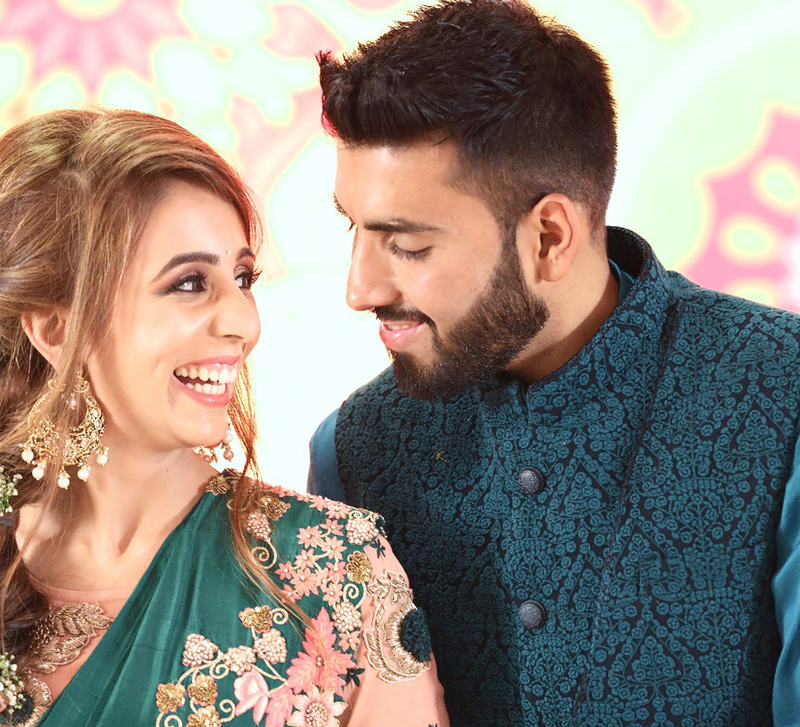 "Our nuptials were planned by Weddings by Ekta Saigal Lulla which is the weddings division of ESL Events, and we are so glad that we chose them as our planners. The entire team is so cooperative, and they did everything to make sure that our big day was just perfect. They were on their toes 24/7 and everything, right from our entry and songs selection to transportation, guest services and hamper distribution were so well organized. Ekta has put together a wonderful team who understands and aligns with her vision for her company and having her by our side through it was just superb! Our photographs were clicked by Dipak Studios who did a phenomenal job at transforming our big day into an eternal memory." "Since our mehndi and wedding were set to be traditional affairs, we decided to let this event have a more contemporary vibe. The decor was designed using gold and black with hints of red that took the beauty of the setup to the next level. The entrance was made to look like a tunnel and included dazzling chandeliers. Everything came together to look more beautiful that what we had imagined. Our loved ones put up some stellar performances on the stage and one the choreographed dances were over we let the DJ take over." "Our mehndi was hosted outdoors. However, we ensured that we had ample covered areas to take shelter under in case it began to rain. The views from the venue were a highlight of this function. From the green hills that could be seen from every corner and colorful decor with interesting elements, everything blew all of us away! We also had activities like a foot spa station and tarot card reading for our guests." "Ricky and I wed as per the Sikh religious rites, and the ceremony took place at a gurudwara. We had a daytime wedding which was followed by a reception." "The decor at our reception was inspired by nature and designed to look like an enchanted forest. Lots of peach flowers and branches were used, especially in the passage that led our guests to the venue. We had a live band playing to entertain the gathering, and the function gave us a chance to celebrate our first steps as husband and wife in the company of our loved ones." "Please enjoy every function as couples tend to get busy with everything that's going on around them. However, it is important that you and your partner make time for each other and have a blast as this time will never come back."